Currently we're trading right in the middle of these two levels. 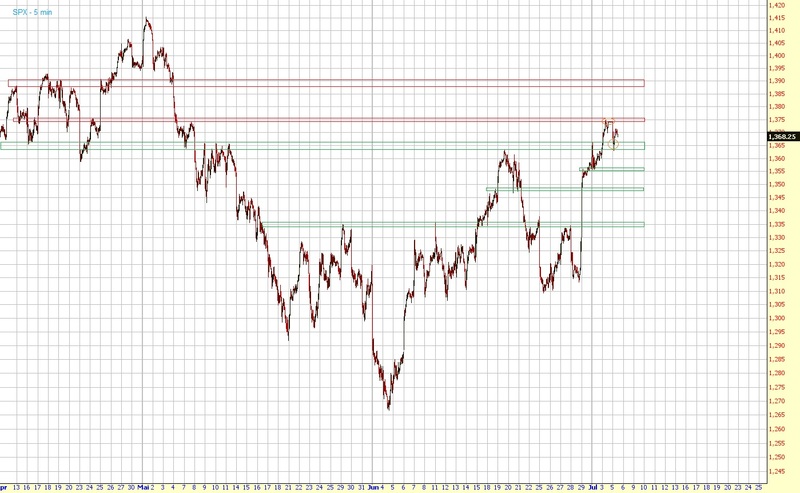 If 1365ish breaks, the next levels for this correction are 1355 and 1348. If 1375 breaks on the other hand, a rally to 1390 should follow.